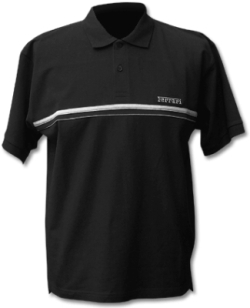 Ferrari Chest Stripe Polo Shirt, Black. 100% cotton premium weight pique knit fabric. Contrast horizontal fabric stripe on the front with the Ferrari name embroidered above it.